Although it might be October it still feels like summer in NYC. I bought so many long dresses this summer and it was either too hot or downpouring outside to wear them. 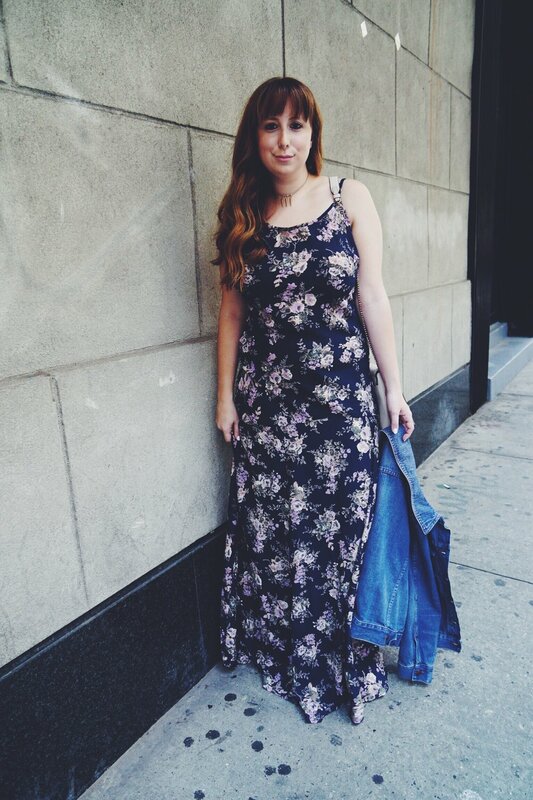 I loved this Flynn Skye floral maxi dress from the moment I saw it. It was about a month later that my sister was visiting from L.A. and she unpacked the same print dress in a different style (great minds think alike). Flynn Skye prints are so pretty and remind me of the dresses I had as a child. Being only 5'2 I thought this dress would make me look really short but instead it made me look taller in pictures. I definitely will be wearing this dress into fall. 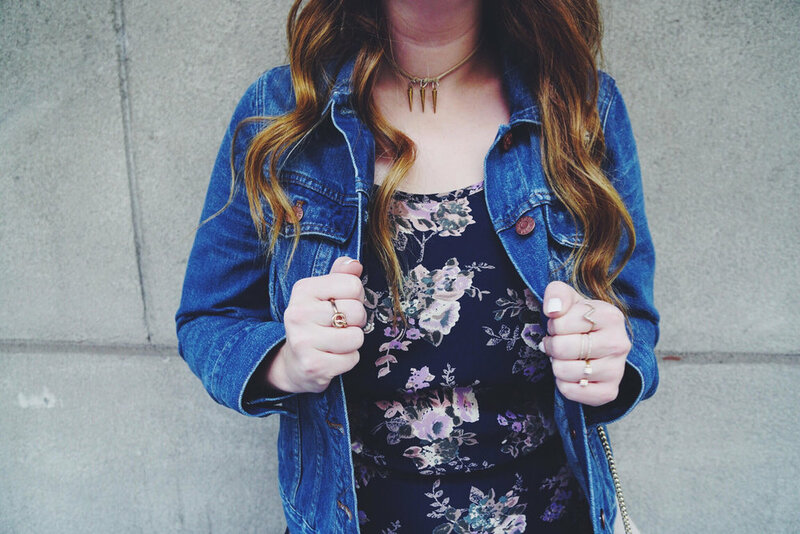 Just throw a denim jacket over it, and you're all set.